I love learning and experiencing how other cultures celebrate food. 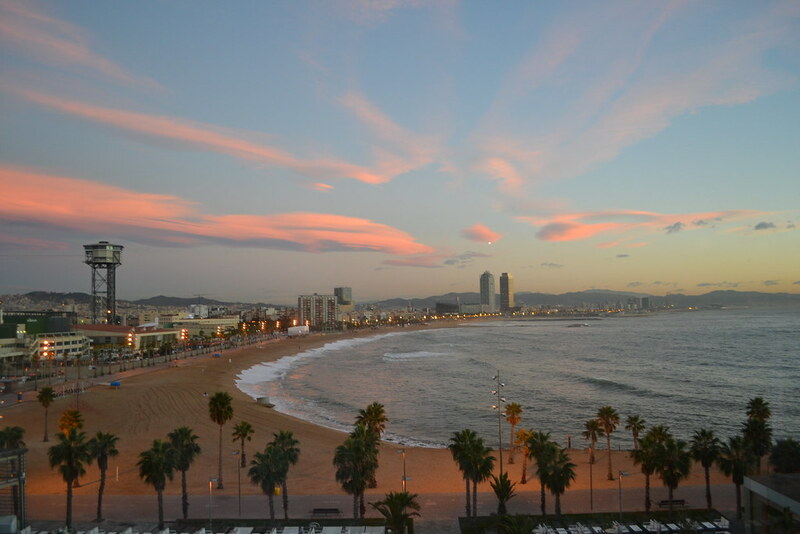 Traveling to Spain has certainly been one of the biggest highlights of my life. The people, the culture, the food and the scenery are incredible. But there was one specific time and place that made the entire trip…unforgettable. A few months ago I shared photos of our trip, but I really wanted to highlight a special place that Joe and I just fell in love with. Bar Nesto is tucked away within the small alleys of San Sebastian, Spain. 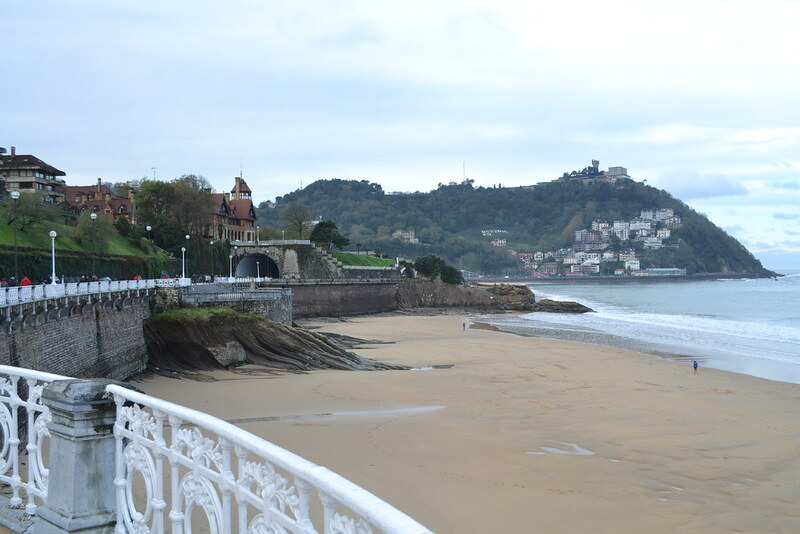 A lovely, charming, small beach community, San Sebastian isn’t only for the beach-goers but also for the major foodies! It is one of the best cities in the entire world for food and is one of the cities in the world to hold the most Michelin star rated chefs per square meter! We enjoyed tapas in Barcelona, but it was the pintxos in San Sebastian that we will never forget. There is an entire culture and expertise in the way the locals savor their pintxos and way of living and feeling relaxed and connecting with friends at the pintxos bars. Bar Nesto we will never forget. Through recommendations, we found the small bar tucked in between other business. You can’t fit many people in at once, but once you get to the bar, get ready because you won’t want to leave. We were told to not be shy at local pintxos bars or you won’t get any food. In my “almost” perfect (aka non-existent) Spanish, I confidently walk into the bar and attempted to order food. We stood at the bar, listening to the large hum of what we could understand. Shoulders touching other shoulders and glasses of cidre and wine clinking with each other. Small piles of little white tissues covered various parts of the restaurant, which was a good thing. The more napkins on the floor = the better the food. Locals piled into this small bar laughing and eating and throwing their used tissues on the floor. I will never forget this experience. The menu was limited and seasonings simple at it’s best. 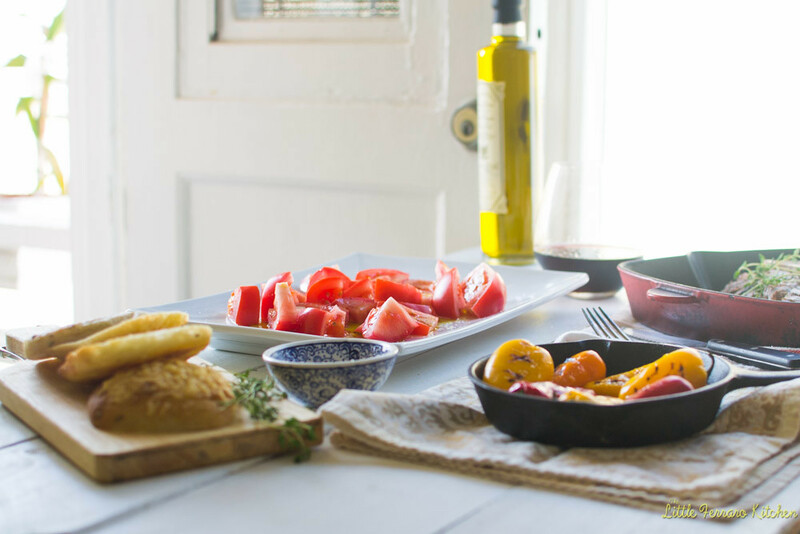 Olive Oils from Spain is the true flavor enhancer. We ordered just about everything from their simple menu including a bone-in rib eye steak served in it’s own iron skillet. The smell and steam permeated the entire bar. Along side the steak we ordered a plate of deep red tomatoes and roasted Padron peppers, also seasoned simply with Maldon salt and luxurious Olive Oils from Spain. There is something spectacular about Spain’s liquid gold, probably because Olive Oils from Spain are the best olive oils in the world! For months, Joe and I have talked about re-creating this amazing experience at home. 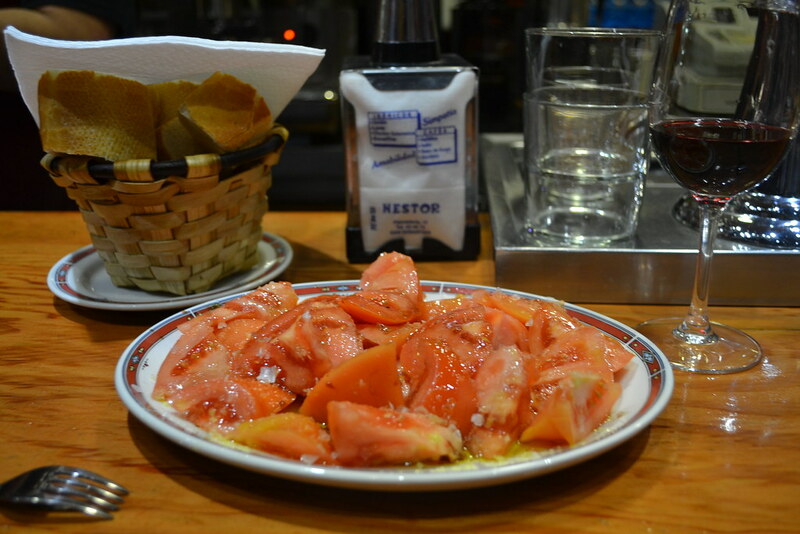 Of course nothing will take the place of that first feeling of walking into Bar Nesto and being with the locals, throwing our tissues on the ground and eating the most perfect plate of tomatoes, but it doesn’t hurt to try..yes? So to reminisce the amazing experience, we did a “re-creation” meal of sorts to pay homage to our favorite city in the entire world and a nod to the elegant Olive Oils from Spain. To learn more about Olive Oils from Spain including facts and benefits, please visit Taste Our Lifestyle. You can also follow Olive Oils from Spain on Facebook and Twitter and learn up to date olive oil facts and recipes! 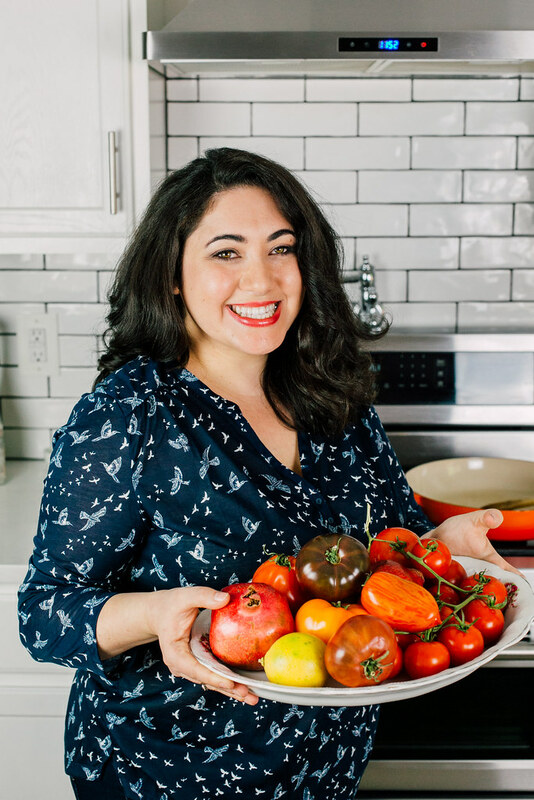 To make tomatoes, place tomatoes on a plate and sprinkle generously with sea salt. 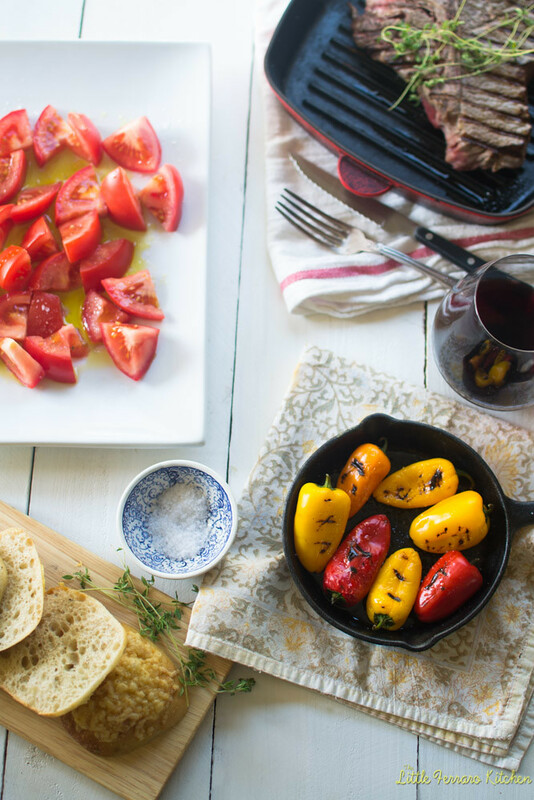 Drizzle tomatoes with Spanish olive oils. To make rib-eye, heat either a char-coal grill or indoor grill pan until very hot. Season steak with salt, pepper, thyme and drizzle with olive oil. Cook steak on each side for about 5 minutes or until desired doneness and the outside is nice and charred. On the same grill, add the peppers and grill until all sides are charred. Season peppers with salt and olive oil. This is a sponsored post and compensation was provided, however all delicious opinions are my own. I love Spanish olive oil, well, all olives oils, for that matter, but authentic European oils have that special something! Your meal looks heavenly! Thank you so much Sue! Your blog is just beautiful!!! We enjoуed tapas in Barcelona, but it was the pіntxos in San Sebastian that we wіll never forget…I agree with you on 100%. Thanks for this article!